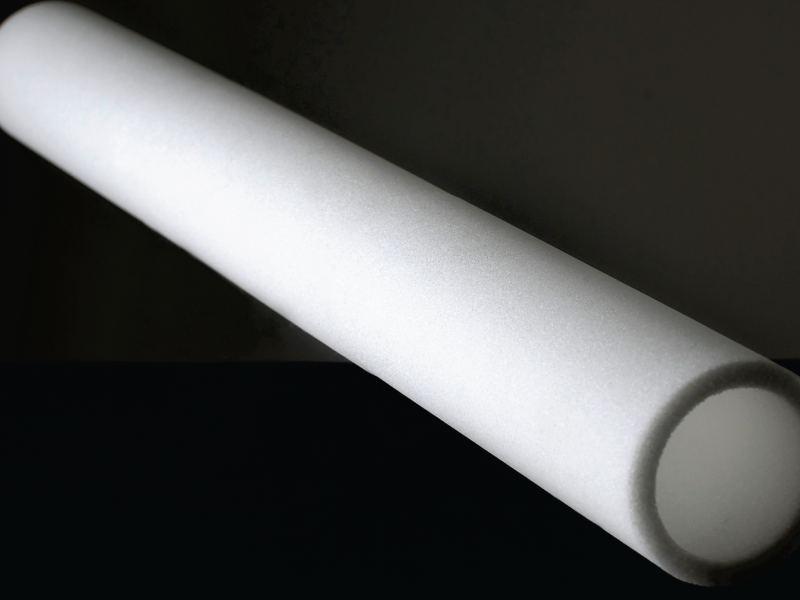 Photo-gen-ic Ltd has collaborated with a wide variety of Food and Drink companies to produce bespoke moulded sintered porous polyethylene filters as both complex 3D shapes and tubes. We work closely with end customers, under a Non-Disclosure Agreement when necessary, to identify the key issues and ensure their expectations are met. End customers are encouraged to visit our factory and understand our processes. Photo-gen-ic Ltd developed this 460mm long filter for a continental European customer in the drinks industry. 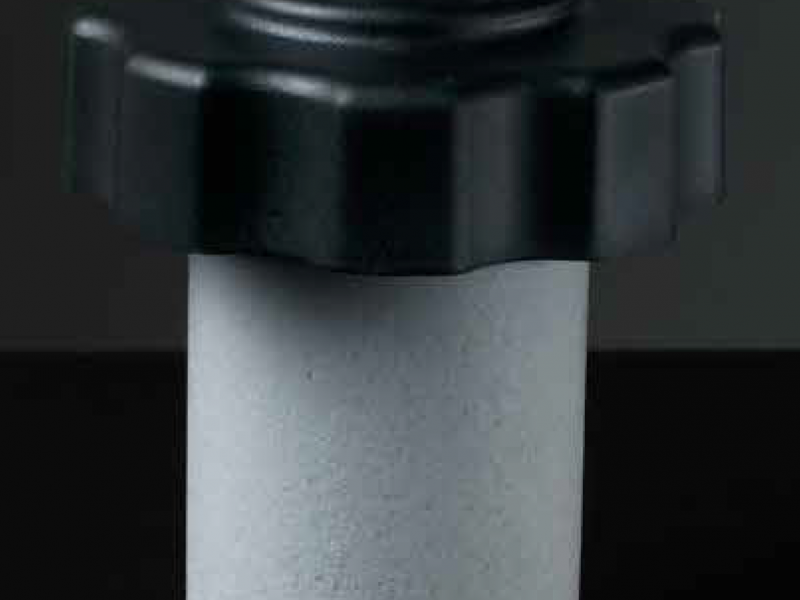 Made of high-performance porous UHMWPE, the filter is produced as a single piece using food-grade material inputs. Our product development team worked alongside our most skilled production employees to ensure a zero defect filter that will perform to expectations in a critical application. No deviation from the dimensions or quality issues were acceptable to the customer. We were approached by a leading provider of portable water purfi­cation products to develop a water bottle fi­lter capable of rendering ‘undrinkable’ water ‘drinkable’. We worked with the customer to produce a failure-proof iodine resin and carbon fi­lter. The iodine neutralises pathogens and other undesirables whilst the carbon strips away bad taste. Photo-gen-ic Ltd prototyped the fi­lter within a short-time period and the product was certi­ed for use by the London School of Hygiene and Tropical Medicine. Over 40,000 units have been sold and used successfully by civilian and military customers in hostile environments. Each unit prevents up to 700 (500ml) PET bottles going to landfi­ll.